As parents raising kids in a world of mobile devices, streaming televisions, and frequent Internet usage, it’s important to take a close look at internet safety. Whether you work from home, do online banking, allow your kids to play online, or just use the Internet to access email, it is imperative to know your home network is secure. Our family relies on the Internet for nearly every daily task from sending money, booking doctor appointments, and of course planning all our travel. All things I would like to think are kept private on our network. When I heard about the Bitdefender BOX, I started to wonder how secure our Internet connection really was. So I decided to find out if installing a Bitdefender BOX could protect our online interactions at home and on the go. Here’s the surprising results I discovered. 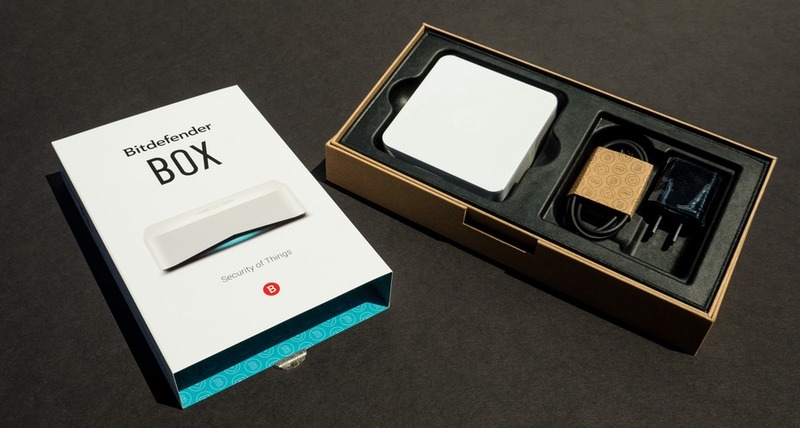 The Bitdefender BOX is a small sleek, futuristic white box that hooks up to your network router. Its job is to provide an Internet connection completely free of malware and phishing attempts. If you have ever opened a suspicious attachment or downloaded free movies, you have likely encountered malware (any software that is malicious, intending to harm your computer). Basically, this tiny box protects you from the bad guys trying to break into your computer and steal or destroy your digital life. It protects not only your computers (whether they are PCs or Macs), but all devices that connect via Wi-Fi, which in our house includes iPhones, iPads, television, a gaming system and even our doorbell. If you don’t have an existing router you can also use the Bitdefender BOX to create your own private Wi-Fi network. One of the coolest aspects of the Bitdefender BOX is that it not only protects and monitors all electronic gadgets connected to your home network, but also your mobile devices on any Wi-Fi or 3G/4G network while you are on the go. That’s right - all your communications can continue to be encrypted and scanned for threats even when you aren’t home. I also particularly liked being able to monitor the devices left at home, even if we’re travelling to a far-off destination. We often don’t travel with our laptops, so it’s good to know they are protected while we’re away. Installation of the Bitdefender BOX was easy. In less than 10 minutes, I was able to connect the BOX to my existing Internet router via an included Ethernet cable and my existing Wi-Fi connection. There was a small glitch due to the fact that one of our Internet provider settings needed to be disabled to provide the Bitdefender BOX with the access it needed. I phoned the Bitdefender customer service line and in less than 2 minutes was given step-by-step instructions. After making one small change, the light on the Bitdefender BOX turned blue meaning it was working. The Bitdefender BOX regularly retails for $199 dollars including one year of service valued at $99. Right now for a limited time, it’s discounted to $99. After the first year, there is an annual subscription fee of $99 which protects an unlimited number of devices. The upside is no other anti-virus or security programs are needed for any of your devices once they have been connected to the Bitdefender BOX. With that in mind, it’s excellent value. After testing out the Bitdefender BOX at home, here are the features that impressed me. Next to our giant eyesore of a router, the design of this BOX really shines. No one will notice it unless you want to show it off. Calling Bitdefender resulted in an immediate solution. Email support is available for those who prefer not to talk on the phone. The agent I spoke to was polite and extremely knowledgeable. There’s nothing worse than having to lug around a computer to do basic online tasks. The Bitdefender BOX app (iOS, Android) helps me monitor our electronics when I’m at home or away. I particularly love that I can easily monitor my kids’ online vulnerabilities when they are at home (even with a babysitter) via the app. Who doesn’t love to save money? The included subscription provides protection for unlimited devices meaning we don’t need to decide if our Wi-Fi-enabled door lock, baby monitor or computer needs protection over another electronic device. While the Bitdefender BOX is an innovative and valuable product, it’s has a couple weaknesses. The minute I opened the box, I noticed how short the power cord was. I like to hide unseemly cables, and connecting the Bitdefender BOX meant using an extension cord. I didn’t want to move our existing router directly next to a power outlet (for a stronger Wi-Fi signal), but the Ethernet cable connecting the BOX and router was also unforgivingly short. When I initially installed the Bitdefender BOX, each Wi-Fi-enabled device needed to be reset (by turning the Wi-Fi connection off and back on) before the Bitdefender BOX could locate them. While this was a quick process for iPads, phones and computers, it was annoying to have to do this with our baby monitor, doorbell, and gaming systems. At first, it is hard to know if the Bitdefender BOX is working. But give it a few hours and you will start to receive notifications telling you when a dangerous website or unsecure download was blocked. Is Bitdefender BOX Worth It? In my opinion, yes. Especially if you aren’t running any other online security systems or software. Consider how much time and money could be lost if your Internet banking login details are stolen. Or what about the effect of your children accidently accessing unsuitable videos. Over the last few days, I have been shocked at some of the notifications I have received. I initially expected I would need to open suspicious websites to test whether the Bitdefender BOX was working. What I didn’t expect is how many other websites and spam emails would get caught from our normal Internet usage. 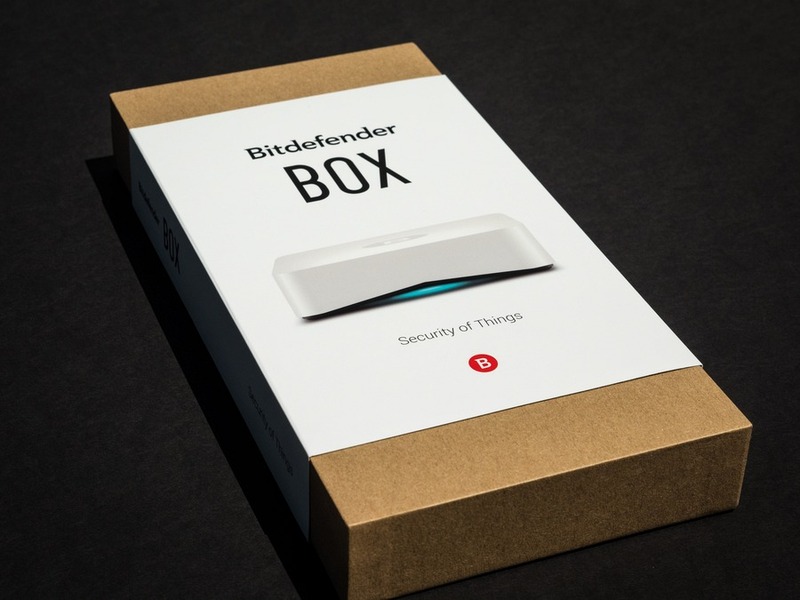 Is the Bitdefender BOX a necessity for your home? If you aren’t running anti-virus software or, like me, have kids, a fridge, and even a doorbell that are accessing your Wi-Fi network, then yes. It offers priceless peace of mind in an increasingly complex world. I have received a few notifications on my phone triggered by my kids’ iPads which has allowed me to teach them why a particular website isn’t trustworthy and how to be safe on the Internet. I want to go back to Florida!! I would love to travel to Las Vegas. I would love to take my wife to Orange County, CA for a much-needed getaway. this will be handy to me. We would love to travel to Colorado this summer. Where I live, there is a lot of power outage. This amazing handset could save me, save to say my smart TV, computer, smartphone while in power charging. I want one. Iceland for me - always been a dream! I would love to go to Canada, or Alaska. I like the cold. No plans for the summer but I would love to go to Hawaii. I would like to go to Solvang. This device is beautiful by design and all of my friends with the Geek Squad love it. I would love to win this so i can have that kind of security in my own home. Would love to go to Daytona Beach this summer. I want to visit local beaches & parks. I wish to Travel to New Zealand! I want to go interstate and visit Melbourne so hopefully I'll be able to fill this dream! I would like to go to Alaska. I think Arizona would be cool to visit. I'd love to go to the beach while it's still hot. I love the ocean. I would like to travel to Germany. I want to go to Florida to see my grandchildren. I love to holiday in Majorca, and stay in a nice villa inland. Utterly stunning views, and a tranquil retreat from today's rather hectic world. Love it! I want to travel anywhere! Europe, Orlando, San Antonio, or absolutely anywhere! I'm travelling to Nepal, via India which I am very happy about! I would have LOVED to travel to Australia and New Zealand. We're staying close to home this year though. I want to travel to Alaska this Summer. Seychelles would be a dream vacation. This looks so cool and would give me some relief on keeping my kids safe. I would love to travel to Japan. I'd love to go to Italy to visit relatives I haven't seen for over 20 years. I'd like to go anywhere at all but especially the Pacific Northwest, I love the scenery there!